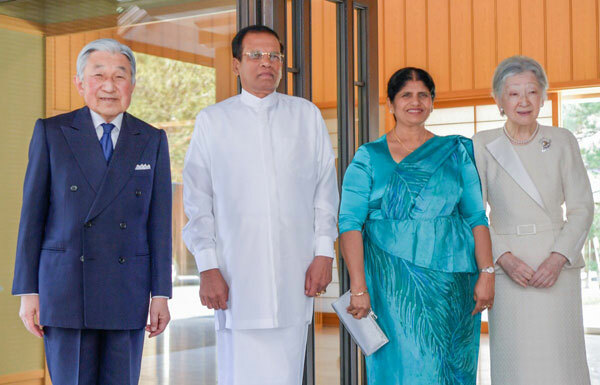 President Maithripala Sirisena today met Emperor Akihito and Empress Michiko of Japan at the Imperial Palace. 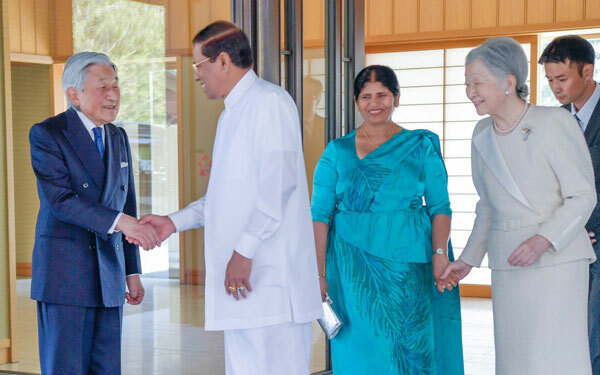 The President and the Japanese Emperor had discussed decades of long relationship between the countries recalling historical events during the meeting. A proud moment for all. Looks like the Emperor and Empress fast most of the time.
" I BECAME AN EMPEROR BY GENERATIONS, NOT BY STEALING MONEY"
Mr. President did you update your FB account abt this. Here we can't.. Lived in Japan for many years. This is unbelievable. Where will you go next week Mr President, and the following week and week after!!!! Country is burning while you are travelling! We voted for you for this??????? Emperor made from clay ?